Posted on November 15, 2018 at 2:37 pm. The Rehab Center is proud to celebrate Walmart Supercenter in Olean for its efforts in supporting and developing a diverse workforce. For the second year in a row, Walmart’s Human Resources Director, Mary Coss, received an award for employing persons with disabilities in conjunction with National Disability Employment Awareness Month (NDEAM). Mary was presented with the award at an event in Buffalo last month, sponsored by Roswell Park Comprehensive Cancer Center in conjunction with Western New York Employment Consortium, the NYS Office of Adult Career and Continuing Educational Services –Vocational Rehabilitation (ACCES-VR) and the NYS Commission for the Blind (NYSCB). 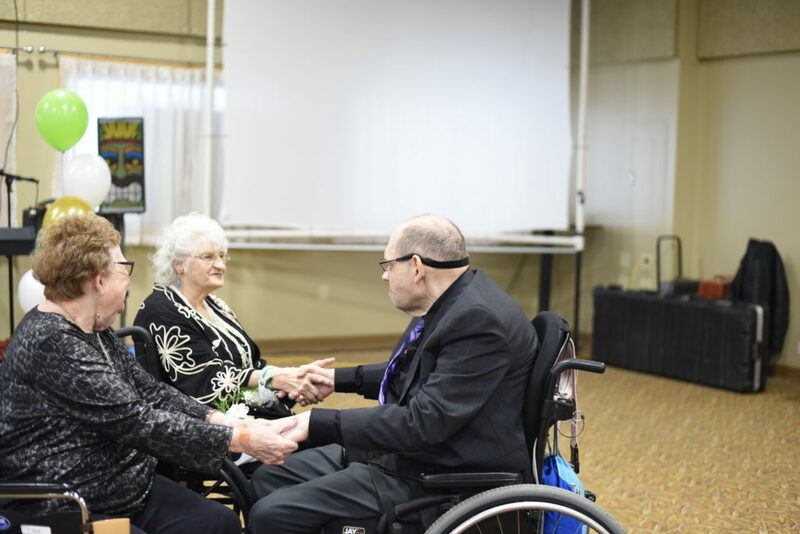 Each year they honor a number of local employers who have enabled persons with disabilities to become members of the local community workforce. Walmart has a long-standing commitment to employing people with disabilities, beginning nearly 20 years ago. Mary Coss has been a key player in the successful partnership with The Rehab Center. “She is an effective collaborator who understands what we do, and believes strongly in giving people a chance to succeed,” said Nancy Miller. 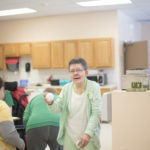 Mary has frequently assisted The Rehab Center’s program by presenting information to the job seekers on workplace expectations and the importance of demonstrating good work performance and work ethic. 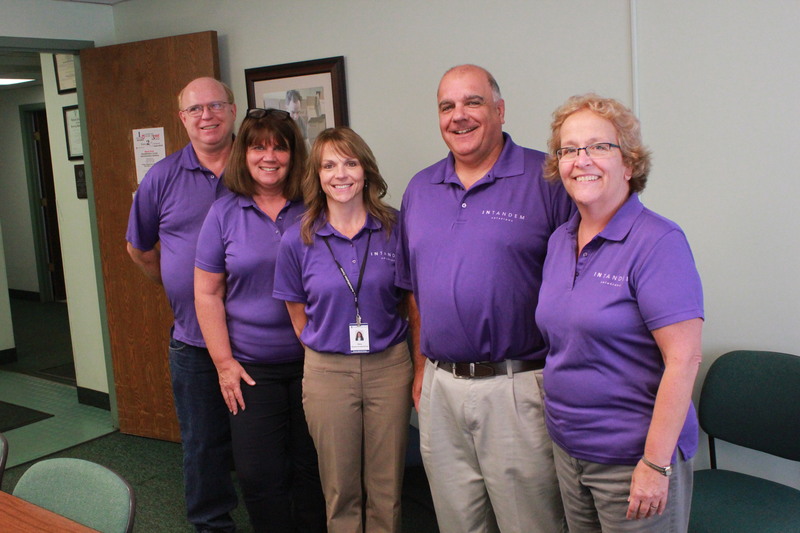 Mary has served twice on the Cattaraugus/Allegany WIB Board for a total of 12 years. She brings her experience and perspective of hiring for a large workforce in customer service, and represents an employer who has made a commitment to a diverse workforce. One of the first people hired by Walmart through The Rehab Center’s program in 1998 is still working there in 2018. She has moved through multiple departments as a sales associate, cashier, and department head. Her 20 years of success is a result of strong motivation and dedication, job coaching supports in the early years, and supportive management. Our collaborations contributed to her success as a productive employee who demonstrates integrity, dependability, a strong work ethic, and teamwork. Since 1998, Walmart has successfully employed over 40 individuals from the program in various departments and shifts. The Rehab Center frequently uses Walmart as a role model for other businesses who are considering hiring a person with a disability. 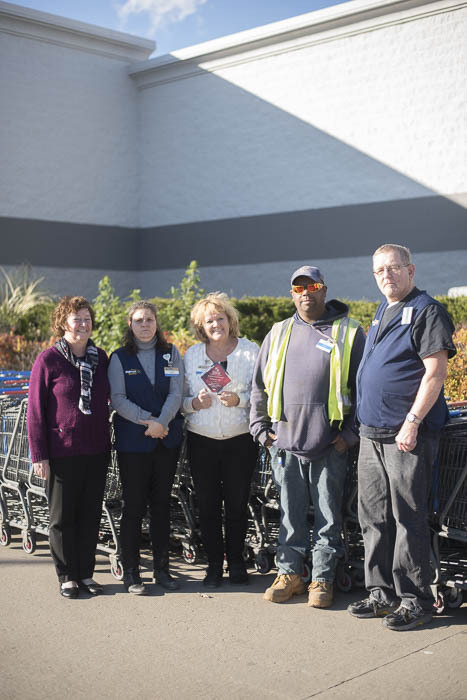 “We nominated Walmart in Olean, NY for this award to express its gratitude for 20 years of being a leader in recognizing the ability and value of hiring people with disabilities in their workforce,” said Nancy Miller. Posted on October 26, 2018 at 1:38 pm. 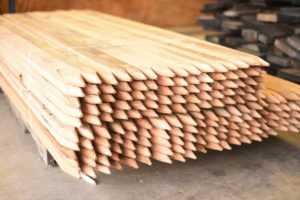 Intandem Solutions, the social enterprise division of The ReHabilitaton Center completed upgrades to its wood products manufacturing area, thanks to a $12,744 grant from the F.T. and Anna C. Manley Trust. “This contribution provided significant upgrades to the Agency’s production equipment, enhancing safety, efficiency, and capacity for many years to come,” wrote Diana Enders, Director of Industrial Operations in the grant application. 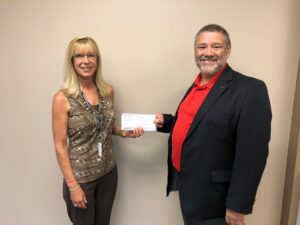 The agency was notified of the award in August, when Ron Sutton, Senior VP & Trust Officer at Keybank delivered the check. The grant allowed the agency to purchase replacement equipment, including saws, a dust collection system, power feeder and strapping machine, some of which had been in operation nearly twenty years. The installation work was done in house by the agency’s maintenance department, including the construction of a table to efficiently feed the strapping machine. 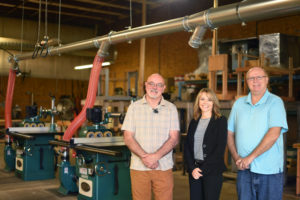 Intandem Solutions operates multiple business units, including the commercial woodshop, a commercial cleaning business and an order-fulfillment and supply-chain support service that focuses on assembly, processing, packaging, and order fulfillment. 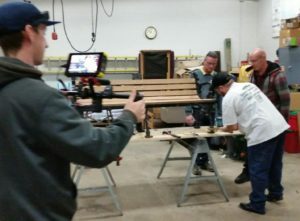 The wood shop provides jobs for five people and produce and package basic wood products that are sold to area businesses and individuals. Among the most popular items are wooden stakes used in vegetable gardening and farming, as well as with many area snowmobile clubs. “This grant allowed us to reinvest in this business. The new equipment will provide increased production, additional jobs, and significantly decrease down time,” said Enders. 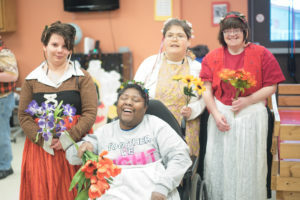 By investing in the ReHabilitation Center’s social enterprise business model this year, the F. T. and Anna C. Manley Memorial Trust is supporting dozens of workers with disabilities who take great pride in their ability to contribute to the local economy. The revenue generated by Intandem Solutions make an important contribution to assuring a full array of services remain available for the hundreds of individuals served by the Rehabilitation Center each day. Posted on October 24, 2018 at 6:15 pm. The ReHab Center will hold an Open Interview Day, which will include on-site job interviews, from 11 a.m. to 3 p.m. Monday, October 29th at the JCC Olean Campus, in the community Room 124. The Rehab Center is one of the largest employers in Olean which supports more than 900 people with developmental disabilities and behavioral health issues. They currently have openings for full and part-time direct support professionals in addition to others. All positions at the ReHab Center, which is an equal opportunity employer, offer opportunities for growth and advancement. Information is available at www.rehabcenter.org/careers or by contacting Diane Clark at 716-375-4747, ext. 620. Posted on September 24, 2018 at 1:59 pm. The Rehabilitation Foundation held its annual Scholarships and Awards Reception last week at Good Times of Olean to support employee professional development. 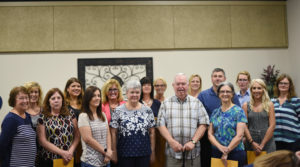 The Jacob J. Karl Memorial Staff Scholarship, named for the late county legislator who served on the ReHab Center’s board of governors and was instrumental in promoting the Agency’s growth during the 1970s, was presented to Jodie Olson. Jodie has worked for the agency for 18 years. The Carroll-Sherwood Memorial Award was established in remembrance of the parents of Mr. Patrick Carroll and Mrs. Gloria Sherwood-Carroll. The purpose of this award is to recognize an agency department or program that puts forth a creative “out of the box” initiative that will support the mission of The ReHabilitation Center, incorporate its values, and at the same time, enhance the department receiving the award. This is a unique award, in that it recognizes an individual or group effort by staff. The award criteria is based on supporting the mission of The ReHab Center, enhancing a function of the immediate department or program and increasing the effectiveness of the immediate department or program. This year, five programs were awarded, for a total of $2,000.00, compared to the standard $500. The five programs awarded were The Employment Connection, The Youth Home, Family Peer Support Services, The Wellness Team and Article 16. 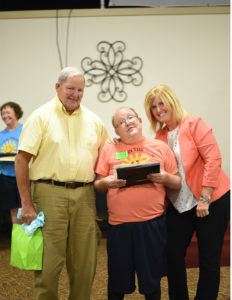 Pat Carroll, former CEO of The ReHabilitation Center, and founder of The Rehabilitation Foundation, presented the awards to representatives from each group. “The original reason for The Foundation was for program needs like this, to provide funding for projects that the Center may not have money for. So I am very happy to be able to do this,” said Carroll. The Charlotte Frost Memorial Nursing Award was established to enhance educational opportunities for nursing professionals. It is named for the parent of a child with a disability who was also one of the founding members of the Rehab Center. She was president of the Agency’s board of directors for ten years. This award was presented to Molly Callahan who has been with the ReHab Center for three years. The Mary Tremaine Memorial Staff Award is given in memory of Mary, who was a residential services quality assurance manager and worked at the ReHab Center for more than 10 years. Mary is remembered as “dynamic, vivacious with an upbeat personality, with a strong work ethic and tenacity,” Mari Howard said. The award was presented to Taija Cochran. Taija works as an In Home Intensive Care Provider. She commutes to the homes of people we support to help children learn and develop coping skills. The Rebecca Ann Hellier Memorial Staff Scholarship was established by members of Rebecca’s family and honors the memory of a bright and loving young woman who lived for many years at the Agency’s home for children and young adults on Fall Road. 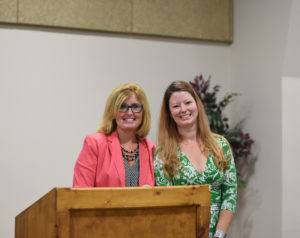 “The scholarship was designed to aid in the educational advancement of a ReHab Center employee who is especially interested in leading and inspiring other individuals learn more about supporting people with disabilities,” Mari said, naming Jodie Olson as this year’s award recipient. Jodie pursued the Hellier Memorial Staff Scholarship to help defray the cost of attending SUNY Empire State College. The Eaton Family memorial Award, established by the Eaton Family in honor of its loving husband and father, Daniel Eaton. “This award recognizes two staff members who consistently give 110%,” Mari said, naming Chuck Meyers and Jeff Flagg as award recipients. “Chuck is one of those employees who rises to the top. We wish we had three of him! He is always willing to go the extra mile and do whatever is needed to provide opportunities for individuals to succeed,” Mari read from his nomination. “He is a motivating coach and mentor for individuals who are considering making the leap from the work center to a competitive job in the community. His energy and passion are like a magnet and the people respond well to him as they realize that he is interested in their well-being. The final award was the Roger Hennig Memorial Arts Enrichment Grant. The grant was established in 1990 in memory of Roger Hennig, who had muscular dystrophy. He graduated from Olean High School in 1970 and participated in the ReHab Center’s workshop program. 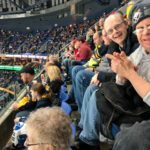 “His life exemplified what people can achieve regardless of disability,” Mari said, adding Roger did not let his physical limitations deter him from getting the most out of life. Kristina Vosler, Jamie Boysha, and Pam Pacer accepted the award on behalf of the Agency’s Youth Residence. The Rehabilitation Foundation is dedicated to improving the quality of life and maximizing the independence of people with disabilities by providing financial support to meet those needs where appropriate. Posted on September 5, 2018 at 6:44 pm. nition event. Through the Renodin Foundation’s generosity we are able to provide the special gifts, plaques, and gift certificates for all the winners and gifts for all the people. o The Barby Ried Fund – A special gift from the Ried family to memory of their sister has enabled all of Barby’s friends at Subcon to spend the morning having ‘FUN IN THE SUN’! Everyone had a chance to bowl, play mini-golf, or corn hole the morning of the banquet. Thanks to Jim and Juanita Ried and their family for providing funds for parties and entertainment that Barby always enjoyed. After the activities, lunch was served to awardees, guests and staff, followed by the awards reception. 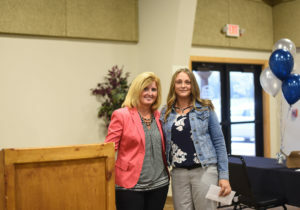 More than 200 people attended the event that honored employees with SubCon Industries and The Employment Connection in five-year increments and those with outstanding work achievements. Russ Hahn, COO, announced the names of award recipients and why they were being honored, while Mari Howard, CEO, handed out the awards. A quote was read for each person that acknowledged their work ethic, unique personality and/or positive attitude. and Employment Connection staff – Great Job! (Intandem Solutions), Deborah Spinler (Basilica of St.
Posted on June 11, 2018 at 7:01 pm. The ReHab Center will hold a Hiring Event, which will include on-site job interviews, from 9 a.m. to 2 p.m. Tuesday, June 19th at 1439 Buffalo Street in Olean. The Rehab Center is one of the largest employers in Olean which supports more than 900 people with developmental disabilities and behavioral health issues. They currently have openings for full and part-time direct support professionals to work in the group homes. Information is available at www.rehabcenter.org/careers or by contacting Diane Clark at 716-375-4747, ext. 620. Applicants are encouraged to apply online before the Hiring Event. Posted on June 6, 2018 at 7:44 pm. OLEAN, NY –June 6, 2018– Arc of New York Cattaraugus County Chapter was awarded a $15,000 grant this year from the NYSARC Trust Services Board to provide social recreation programs for the people the agency supports. them either reduced fees or free admittance to a variety of community sporting events and other activities, including day trips or week-long trips away. 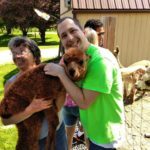 Hidden Valley Animal Adventures, the Alpaca Farm, Darien Lake, the Erie County Fair, the Sight and Sound Theater in Lancaster, Pa., and the Fishing Derby in Little Valley. 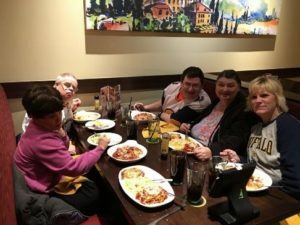 Locally, they enjoyed dining at area restaurants; and bowling, bingo, movies and community theater productions, together. Last year, the Cattaraugus Chapter received a similar grant from NYSARC Trust Services which allowed participants to enjoy a wide range of recreational activities including community events, and day trips throughout West­ern New York. 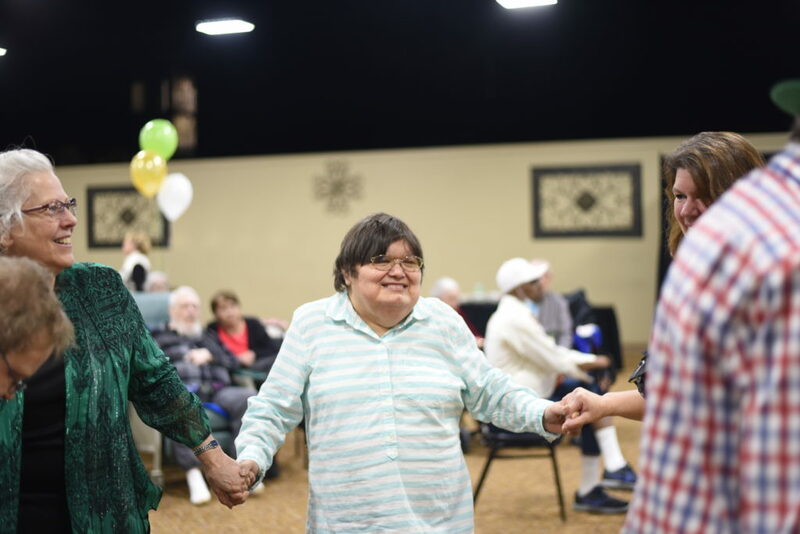 The Rehabilitation Center supports more than 900 people of all ages with developmental and behavioral disabilities through a continuum of services that enhance community participation and personal independence. 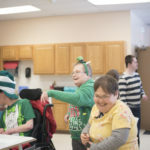 Supports include residential placement, case management, clinic service, employment opportunities, and day services throughout Cattaraugus, Allegany and Chautauqua counties. 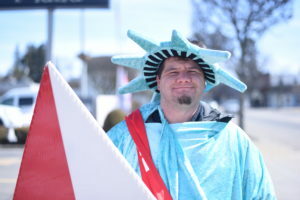 The Agency is financed through federal and state funds, donations through the ReHabilitation Foundation, and InTandem Solutions, its social enterprise which provides work opportunities for people with and without disabilities, along with two work centers in its Olean and Salamanca-based SubCon industries. Learn more about the social recreation program or how you can help with a donation to The Rehabilitation Foundation. 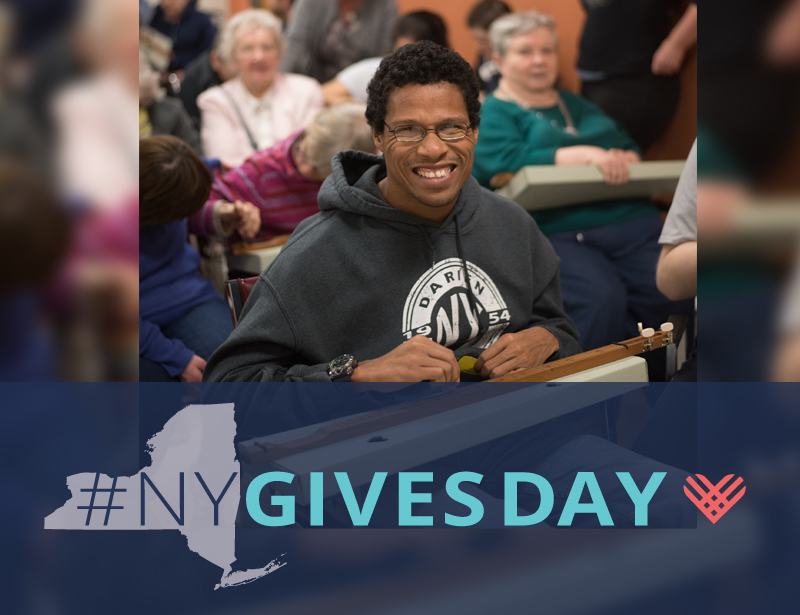 NYSARC Trust Services has administered supplemental needs trusts since 1972, helping more than 16,000 people with disabilities protect their eligibility for government benefits and improve their quality of life. 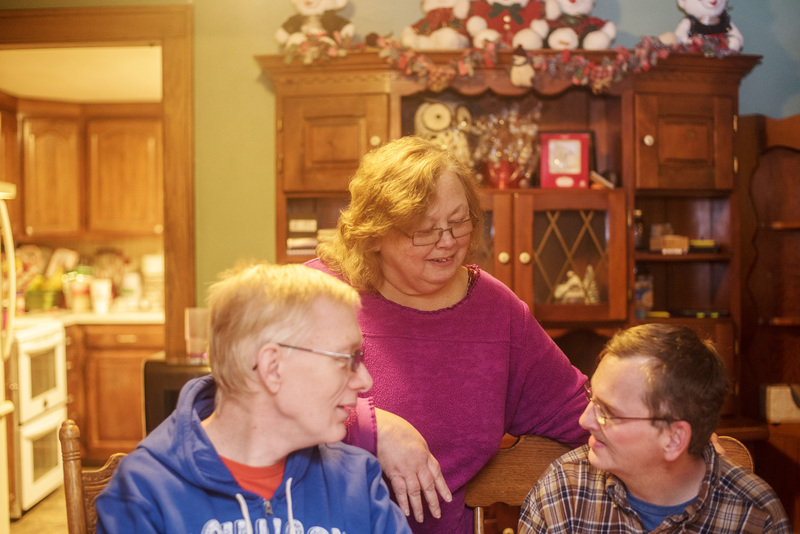 Our trust programs give people with disabilities the opportunity to remain in their communities with greater comfort and independence while providing peace of mind to their family and loved ones. NYSARC Trust Services administers first- and third-party supplemental needs trusts, pooled trusts for income and resource (asset) protection, and individual trusts. When protecting settlement proceeds with a NYSARC Community Trust, we can also administer Medicare Set-Aside (MSA) accounts. 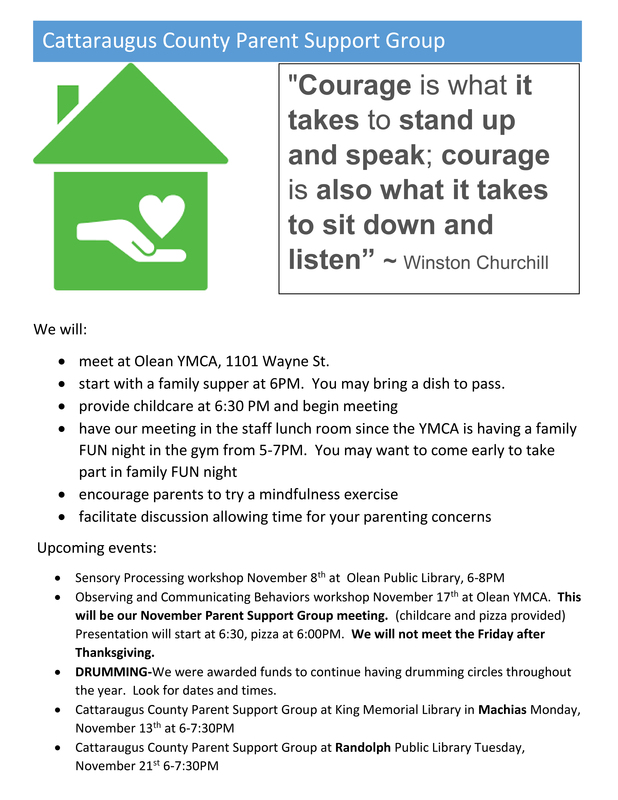 For more information, please call (518) 439-8323 or visit us online www.nysarctrustservices.org. Posted on April 9, 2018 at 3:23 pm. David Haynes, Community Habilitation Specialist, learned to crochet from his grandmother when he was 12. He now enjoys sharing his work and talent with others. When Patsy Cradduck, Prevocational Supervisor, asked David to teach a group from SubCon how to crochet, he didn’t hesitate. Patsy has been redesigning the schedule of activities for site based prevoc based on the new regulations that expanded the service options. “I would really like to be able to offer more opportunities for hobby and skill development. Many of the individuals here are very talented,” she said. David now teaches a regular group of 5-6 individuals from 9-10am every Tuesday. He said “Sometimes the group varies a little, but it’s usually the same people who participate.” David does a great job showing each person crocheting techniques and assisting as needed. 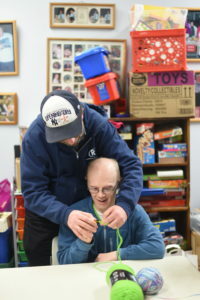 “At this point we are working on learning the fundamentals,” said David, ”I’m really not sure what we will be creating yet,“ The group talked about eventually making bracelets, scarves, and blankets once they get the basics down. According to David, The first step is learning the single stitch, which is a basic technique that can be used to create a variety of pieces. David makes pot holders, table runners, blankets, bracelets, characters/animals, and much more. Some of his most popular creations are star war figures, which he says take him about 6 hours each. Other items that people seem to like are potholders and anything with unique colors and patterns. “I think the biggest challenge is having the patience,” said David. Agency staff at SubCon are looking to grow this project, and are looking forward to involving more staff to share and teach their hobbies and skills. Their goal is to enhance skills and assist the work center employees to explore opportunities for future employment. Posted on March 30, 2018 at 3:54 pm. Like most of us, Tim wanted to find his dream job. Something that would allow him to showcase his talents and skills while doing what he truly enjoyed. 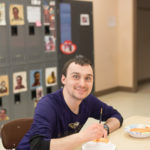 The ReHabilitation Center’s Employment Connection program, and his job coach, Beth, were able to help him do just that. Three years ago Tim was an assembly worker at Subcon and was eager to find a different job in the Olean community. He began his job search by participating in the Pathway to Employment program with staff from Subcon. Through the program’s ‘Discovery’ process, he learned about his strengths, personal interests, and level of supports he would need to succeed. He completed a variety of exploration activities including interviews with people close to Tim — family, friends, roommates, past employers, and staff — and career exploration through hands-on work and volunteer experiences. Tim chose to try work unloading the truck at Loaves and Fishes food pantry, doing dishes at Union Tea, and landscaping/outdoor work/painting and bench assembly at JCC. He learned again how much he liked being outside, and wanted to paint again. Taking what he learned from these experiences, Tim was offered the opportunity to enroll in the OPWDD Employment Training Program (ETP). This program offers two incentives for employers to give Tim a chance to work – he is paid by NYS OPWDD for a period of time; and, both he and the employer have the benefit of Beth’s supportive coaching services. 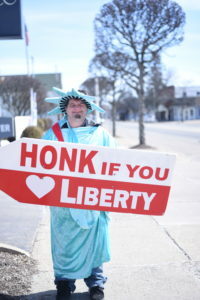 You can see Tim waving the Liberty Tax sign on State Street Tuesdays, Thursdays and Saturdays. The position is seasonal and will end in April, but Tim has another opportunity lined up at Canticle Farms that starts in the spring. 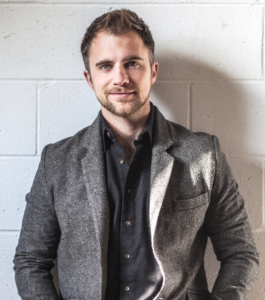 When he isn’t working, Tim attends the agency’s day program, likes to play poker and enjoys outdoor activities. “I like Pokémon Go, basketball, football and hockey,” said Tim. He attended his first Bonaventure game this year and loved it. He has lived in an agency residence for over 5 years and has friends from both rehab center programs and the community, and a big family in Ellicottville. Although they weren’t all an ideal fit, Tim’s work experiences gave him further insight on what he wants personally and professionally. Our job coaches and other staff are honored to be a supportive part of this process. Click Here learn more about our Employment Connection program. Posted on March 29, 2018 at 8:03 pm. As a child, Carolyn would go to work with her mom as she provided care in nursing homes and human service agencies. As an adult, Carolyn credits those experiences for her comfort level with all types of people, regardless of ability level. Carolyn has worked for The Rehabilitation Center for almost 20 years in several areas of direct support. She began in residential, until she took a supervisor position in our SubCon work center. She held that position for 8 years until a back injury prevented her from continuing. 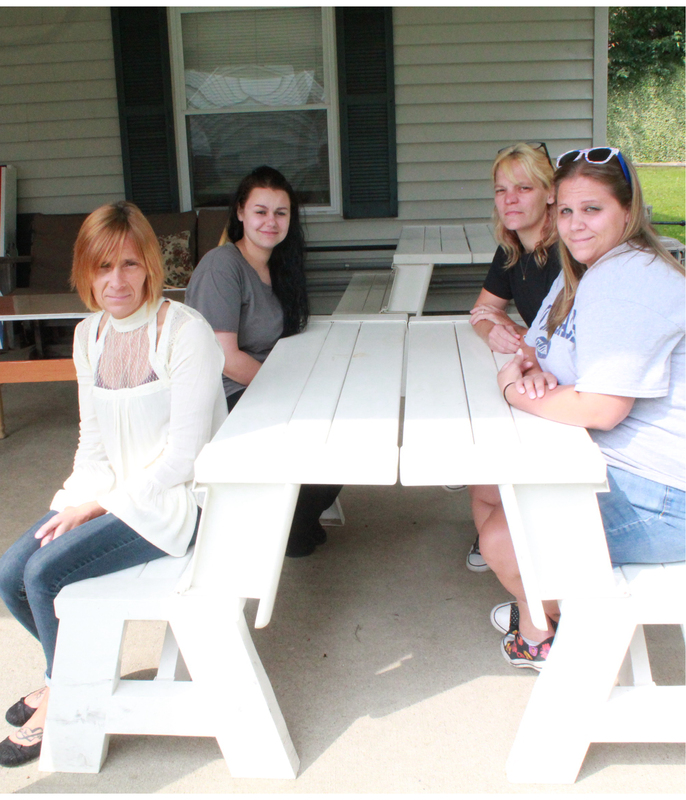 She transitioned to our Lifeskills program in Allegany, and then to Day Hab in Salamanca. The Day Hab position wasn’t an ideal fit for Carolyn. “I loved the people I worked with, but being in one room with the same people every day wasn’t for me,” she said. She switched to part time and took a position as a CNA with Olean General Hospital. “I loved working as a CNA, because I am so nosy,” she laughed. Although Carolyn enjoyed working at the hospital, she missed the people at The Rehab Center. When Allen, her current supervisor, approached her about an opening in our recreation program she applied. Much to her surprise she was offered the position. As a recreation leader, Carolyn’s duties consist of researching, planning, and recruiting participants to attend supervised trips and activities. It’s a perfect fit, because it keeps her moving, working with different people at various locations in and outside of the community. “I am not one to sit behind a desk,” says Carolyn. Carolyn and a group on a recreation outing. Eating dinner at Olive Garden before a Sabres Game! Click here to learn more about the recreation program. 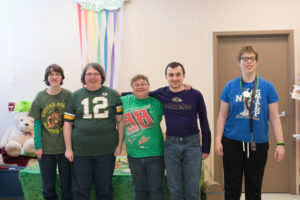 The Rehabilitation Center provides programs and services for individuals with developmental disabilities, behavioral health concerns, and the aging. For more information, please contact us here. 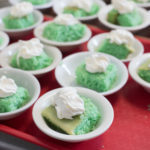 Agency programs find creative ways to celebrate St. Patrick’s Day! Posted on March 23, 2018 at 8:00 pm. 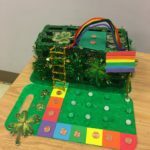 That is when Trisha Wineberg and Ally Gomez, direct support professionals at Day Hab, came up with the idea to make Leprechaun traps. This turned into a high involvement display of creativity and craftsmanship. Some traps lit up, some spun around and some came with a story. P.S. 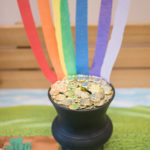 No Leprechauns were harmed in this process! the movies and much more. Posted on March 16, 2018 at 7:53 pm. 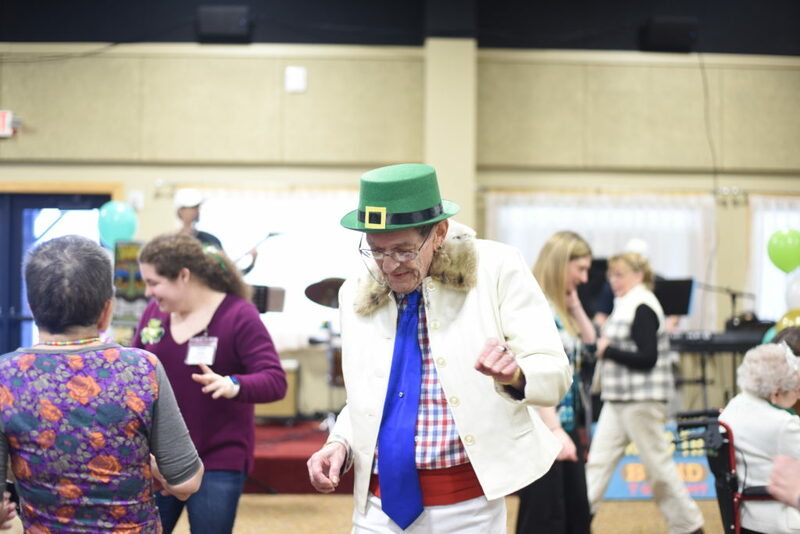 Despite the snowy day, the Southern Tier Activity Association’s First Annual “St. 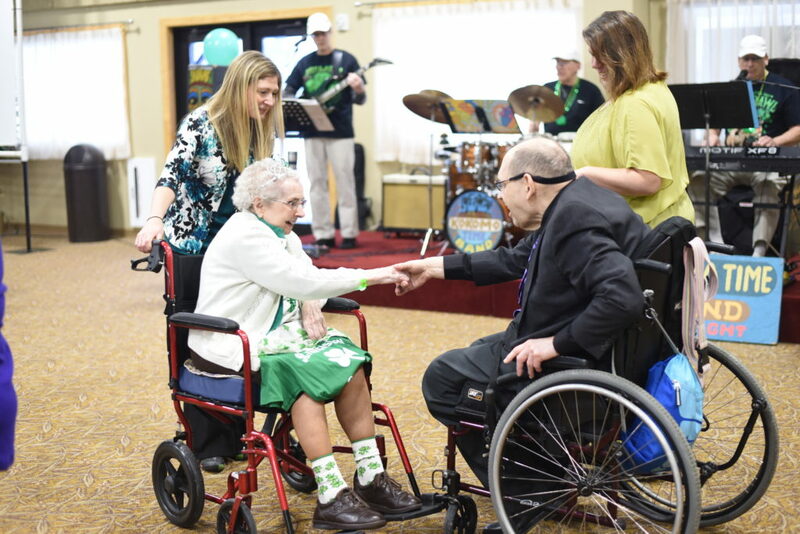 Patrick’s Day Spring Formal” went on without a hitch at Good Times of Olean. 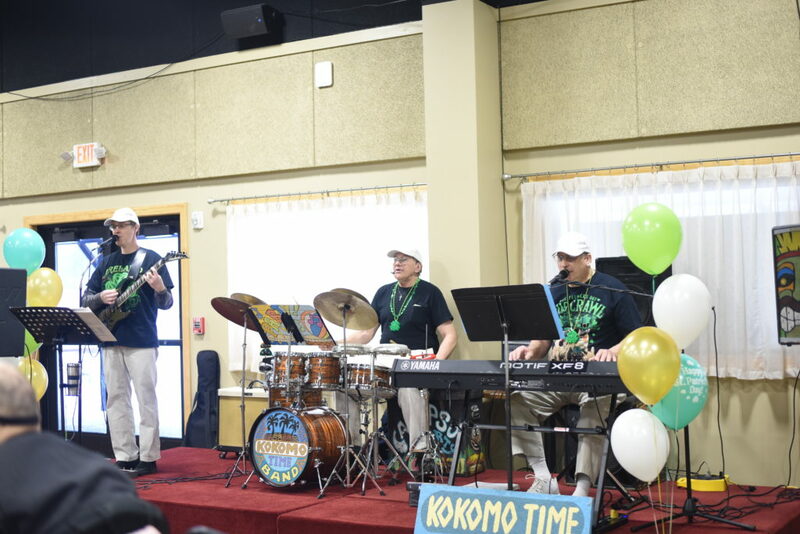 Seniors from several local nursing homes and centers, joined in on the fun, moving and grooving to live music from “The Kokomo Band.” The band played a variety of music, mixing in Irish and Elvis tunes. 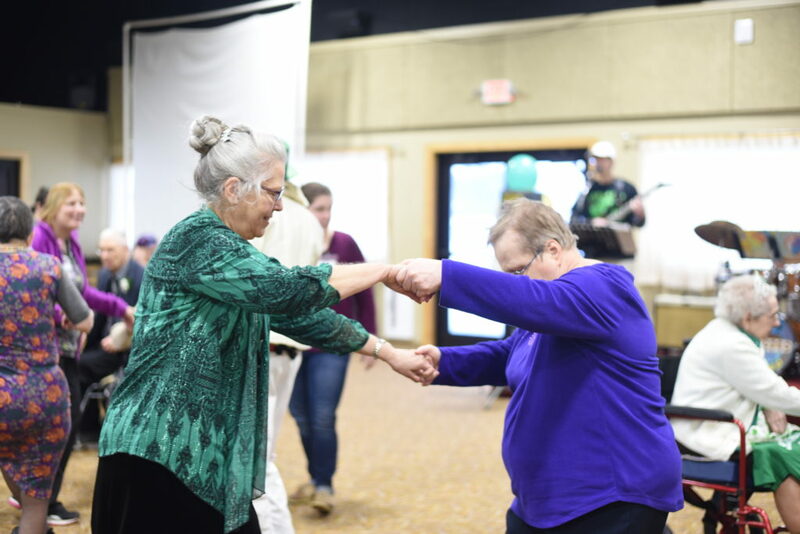 The ReHabilitation Center’s Linwood Senior Center, along with The Olean Pines, Houghton, Absolut Care, The Motherhouse, and Eden Heights were all represented at the dance. 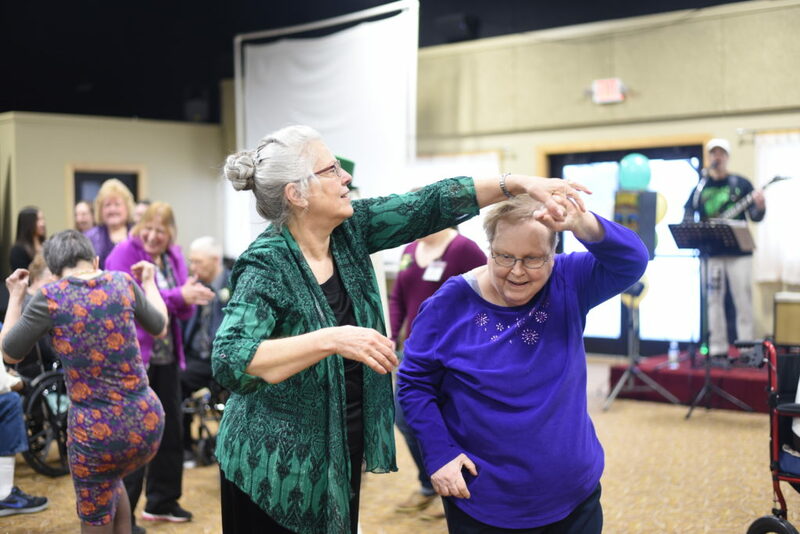 A group of nursing home and senior activity directors organized the STAA over 30 years ago, building on the benefit of interaction and idea sharing between like organizations. 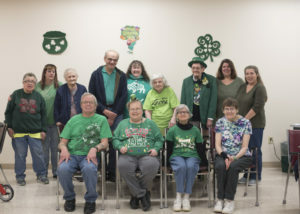 They now coordinate the annual Golden Olympics, have held a large Bingo event, and this year decided to introduce the St. Patrick’s Day Spring Formal. 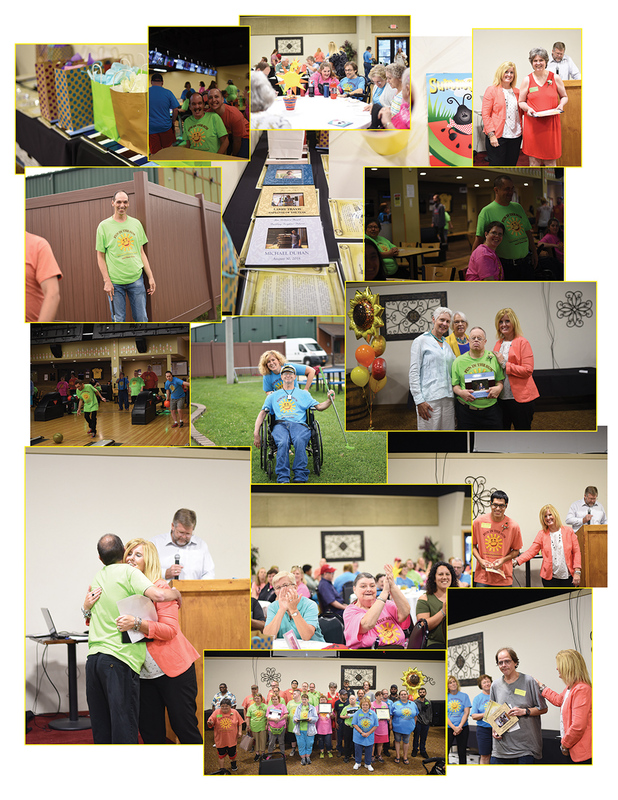 To learn more about The Rehabilitation Center’s Linwood Center, click here. Posted on February 28, 2018 at 9:08 pm. As the Winter Olympics excitement came to a close last week, so did a special International project that our day hab program participated in. Each classroom, 11 in total, was given a country to focus on for two weeks in February. They decorated, learned, shared fun facts, made crafts, and dressed in the colors of their respective location. 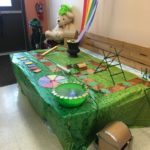 There was no lack of creativity, as the rooms were decked out in Olympic medals, flags from around the world and educational facts. Posted on February 6, 2018 at 3:05 pm. The Weekday Jackpot is back! The Weekday Jackpot gives you 51 chances to win $100-$1,000 with weekday drawings from April 23rd – July 2nd, with a special $1,000 drawing on July 2nd. Stop into our Rehab Center Admin Building at 1439 Buffalo Street in Olean or, print the form below and mail in with a check or cash, and we will send you your ticket! Proceeds from the Weekday Jackpot Drawing benefit The ReHab Foundation Learn More Here. Posted on January 26, 2018 at 4:12 pm. 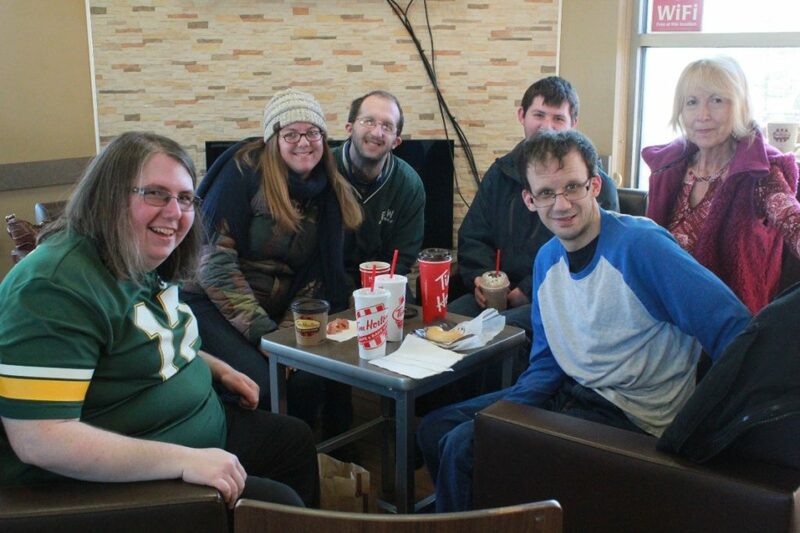 The group of friends, each one carefully carrying hot chocolate, tea, sandwiches or bagels laden with cream cheese, found a warm place around the fireplace at Tim Horton’s on a cold Thursday afternoon. Posted on January 19, 2018 at 8:12 pm. While a miracle may have saved his life almost 50 years ago, today it’s the generosity of Foundation donors that provided needed safeguards for John and his mother. In 1966, while walking home from school, John spotted his brother and some friends on the other side of the street. He waved, then darted across the street. The next thing he remembers is waking up from a coma in the hospital three months later. “It’s a real miracle he lived,” Nova, his mom, said. Posted on January 12, 2018 at 3:08 pm. Wish Tree at the Subway in Olean Walmart. Over 15 families and 150 individuals had the opportunity to exchange gifts this holiday season thanks to The Wish Tree, a collaborative project between The Rehabilitation Foundation, The Olean YMCA and the N. Union and Walmart Olean Subway locations. 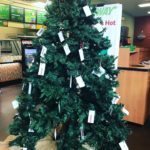 The project began six years ago when Shelley Pollock, Foundation Board member and Subway owner offered to host the wish trees at her Subway establishments. Posted on December 4, 2017 at 7:06 pm. 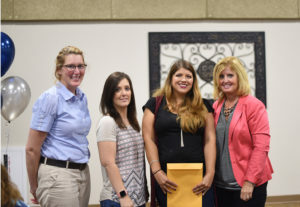 Recently, the Rehabilitation Foundation’s annual Scholarships & Awards reception honored several staff members and departments with grants to fund their dreams and goals which will return to benefit the Agency. Posted on November 21, 2017 at 2:41 pm. The Wish Tree is a wonderful opportunity to give a Christmas gift to a person the Agency supports at a time when they otherwise might not receive one. The project is a collaboration between local businesses and organizations who come together with the community to provide meaningful Christmas gifts to people the agency supports and their families. Each Holiday Season, the wish tree is hosted by community locations. Thank you to our 2017 locations! All year long, you can make an online donation to go directly towards the Wish Tree Project. $25 sponsors one person, and $50 sponsors a family of two, and $100 sponsors a family of four. Anything you can donate helps put one more gift under our Wish Tree! Online donations will be used to supplement the gifts purchased by the community to ensure everyone who has submitted a request will have gifts to open on Christmas morning. The Wish Tree Committee collects, wraps and works with agency staff to deliver gifts in time for the Holiday. Join us in making someone’s Holiday a little brighter this year! Posted on November 13, 2017 at 7:05 pm. The Foundation’s annual Comedy Night drew hundreds to this year’s laugh-in featuring two nationally-renowned comedians in a rave performance in early November. 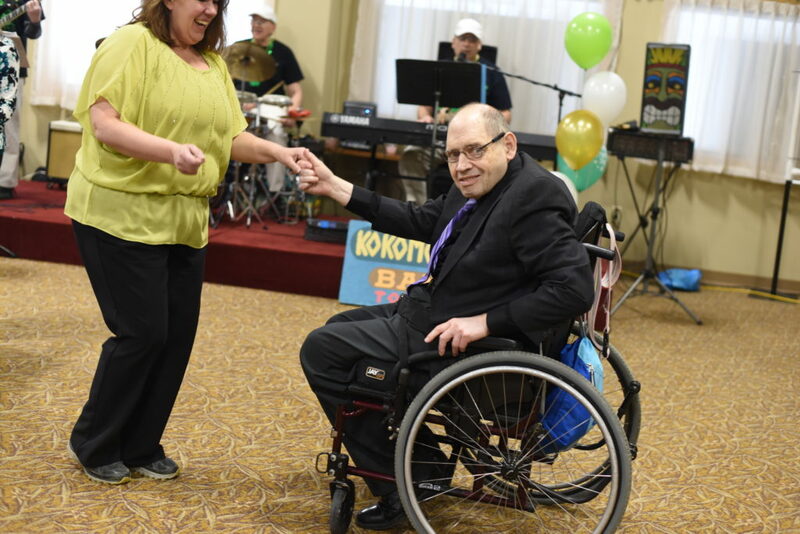 The event, hosted at Good Times of Olean, offered the community an opportunity to laugh and dine together while making an important contribution to the ReHab Center’s mission of supporting people with disabilities. D.J Demers, a Canada native; and his opening act and MC, Jose Barrientos, who is currently living in Los Angeles, were just as hilarious off stage as on. 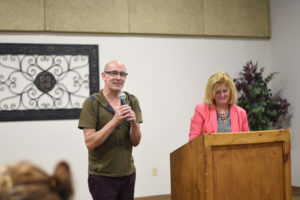 While the audience was enjoying Italian cuisine, the comedians casually slipped into the venue prior to the show and inquired about the Olean area to customize their act to the audience. That effort paid off later in uproarious laughter and applause. “When they walked on that stage, they didn’t hold back and had the crowd laughing from start to finish,” a member of the audience said. Barrientos warmed up the crowd by satirically poking fun at growing up Mexican in America. His act continued to stir laughter without compromising its meaning with a comedic rendition of his reaction if he was ever mugged. Posted on October 23, 2017 at 3:14 pm. Posted on October 20, 2017 at 1:43 pm. It’s hard to imagine the historic old house, now a beehive of activity as a home and family care residence, was once the site where Verne Cummins ran the Cummins Cider Mill. The former cider mill was artfully redesigned with a vaulted cathedral ceiling and winding stairway to an upper loft to make room for an expanding family. Posted on October 20, 2017 at 1:20 pm. 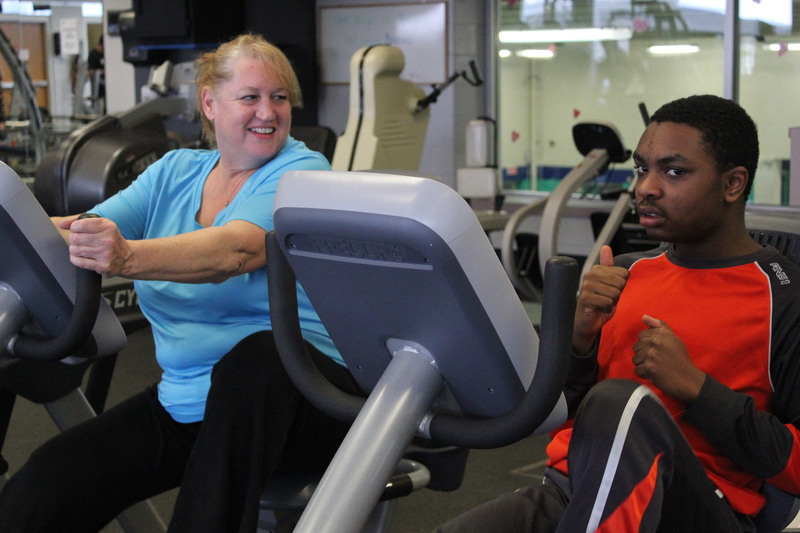 Maureen and Nasir enjoy working out together at the Olean YMCA. Fresh out of college and armed with a degree in Recreation Leadership, Maureen Boza started her career with the ReHab Center bursting with enthusiasm to make a meaningful difference in the lives of the people we support. Posted on October 17, 2017 at 1:07 pm. 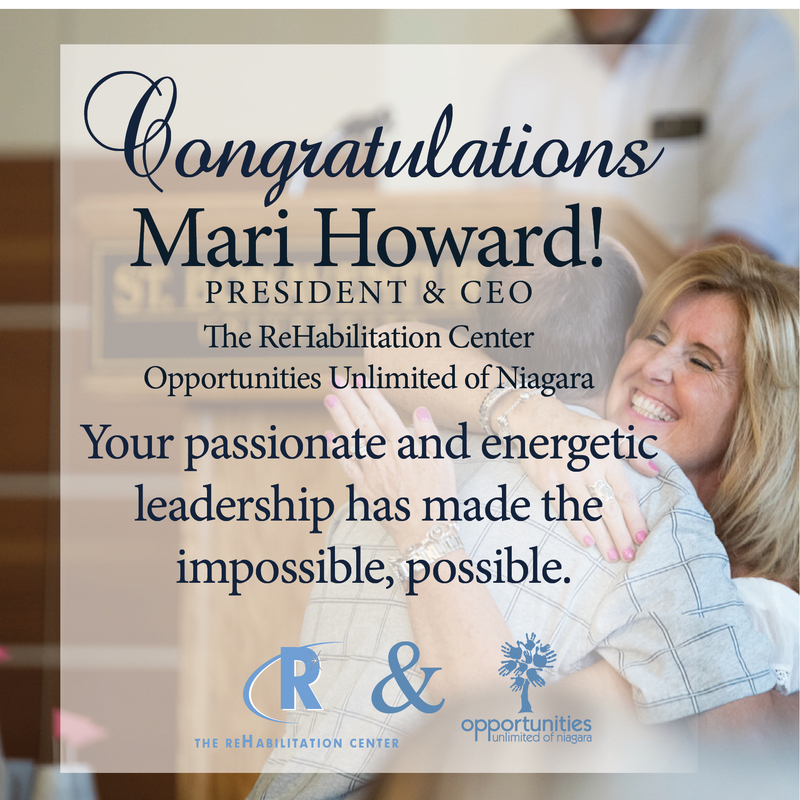 Mari Howard, president and CEO or the ReHabilitaton Center and Opportunities Unlimited of Niagara, has been a visionary and driving force behind the ReHabilitation Center’s rise as an emerging leader among NYSARC chapters in the state and vital collaborative partner in the Western New York community. Her significant achievements have been well noted by other leaders in the Western New York business community. Most recently, she has been named among 20 of Western New York’s most effective business leaders by Business First. She will be presented with the prestigious C-Level award at Buffalo 612,’ the newspaper’s sixth annual awards luncheon on October 19 in Buffalo. Posted on October 2, 2017 at 7:50 pm. 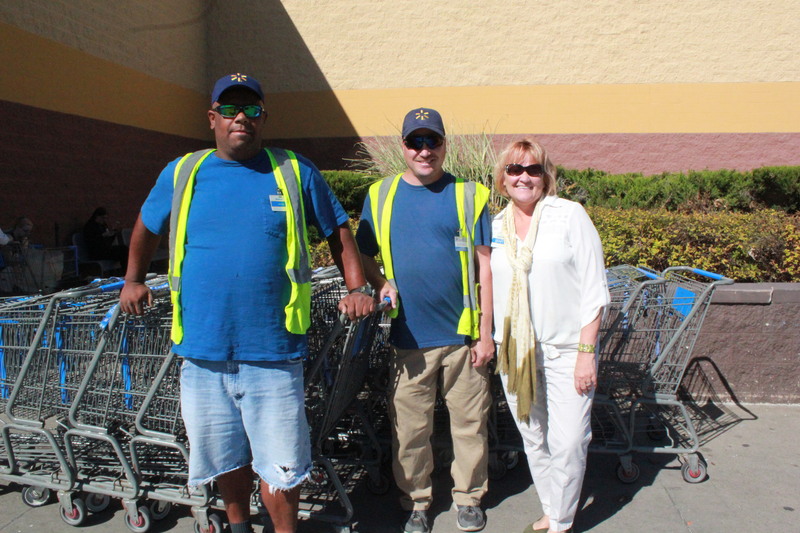 Walmart employees from the ReHab Center Nate Sledge and Bernie Snyder take a moment from carting to stand with Mary Coss, Walmart’s Human Resources Director, in celebration of National Disability Employment Awareness Month which runs throughout October. Posted on September 28, 2017 at 8:00 pm. The Rehabilitation Foundation’s Comedy Night is set for Saturday, Nov. 4 at 6p. m. at Good Times of Olean, 800R East State Street. The Foundation is bringing in two award-winning, nationally touring comedians with a unique skill set. The featured comedian of the annual event, which raises funds for The ReHabilitation Center, is D.J. Demers who is hearing-impaired. Demers was diagnosed with a hearing disability at age 4. As a young boy, he found a way to make friends with laughter. 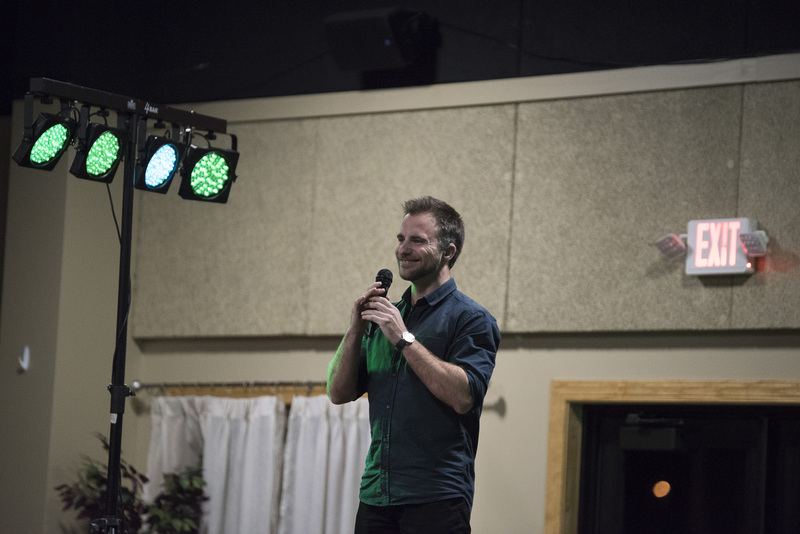 “Comedy and making my friends laugh was a way for me to connect with people and be something other than a boy with hearing aids,” he stated at America’s Got Talent last year. Posted on September 14, 2017 at 12:48 pm. The following awesome staff are among the more than 850 employees of the ReHab Center, all of whom in his or her own way is doing outstanding work with a single-minded focus on supporting the people. To each we say THANK YOU! Big 6 Direct Support Staff include: (front left) Sonya Pesock, DSP III and SRI behavioral tech; (back) Alissa Munday, DSP I; and Teresa Morey, DSP III mentor; and (front right) Kristen Holly, DSP II. They’re a team of professionals, each lending a unique skill and bright smile to the Big 6 residence. Their years of service blend well to support each other as they all support the residents. Posted on September 13, 2017 at 1:08 pm. As we move through a week of celebrating and expressing sincere gratitude to our staff for their outstanding support of and service to people with disabilities, one quality stands out among many. They all are focused on service to another. They get up very early or work late, on weekends, on holidays, despite inclement weather – to be there for another person, and to be fully present, alert, attentive and responsive as they actively support people who are reaching for greater independence and greater quality of life through achieving their goals. They are champions of our mission – in accountability, innovation, learning, positivity and perhaps most of all – in trust.